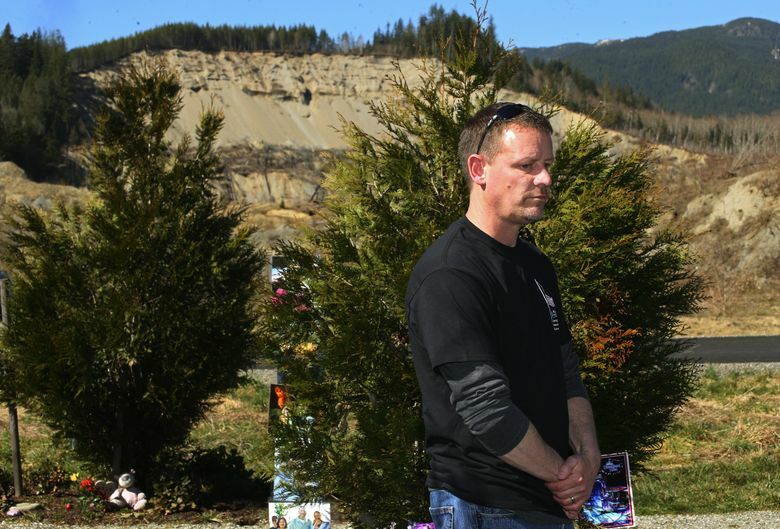 OSO, Snohomish County — At the cedar tree on the side of Highway 530, Dayn Brunner thinks about where his sister would be if she hadn’t died five years ago in the U.S.’ deadliest landslide. Summer Raffo would be living on the family farm and still working at their janitorial company, he says, looking at the tree planted in her honor — one for each of the 43 victims — that’s grown from a sapling to taller than him. She and her husband would be happily married, and maybe they would have adopted children. “So much can happen in five years,” he says. His family has had to downsize their business because it was too much without her. They still invite her husband to dinners a few times a year. Brunner’s own sons, who worked alongside their dad to dig Raffo out of the mud, have grown from teenagers into men. 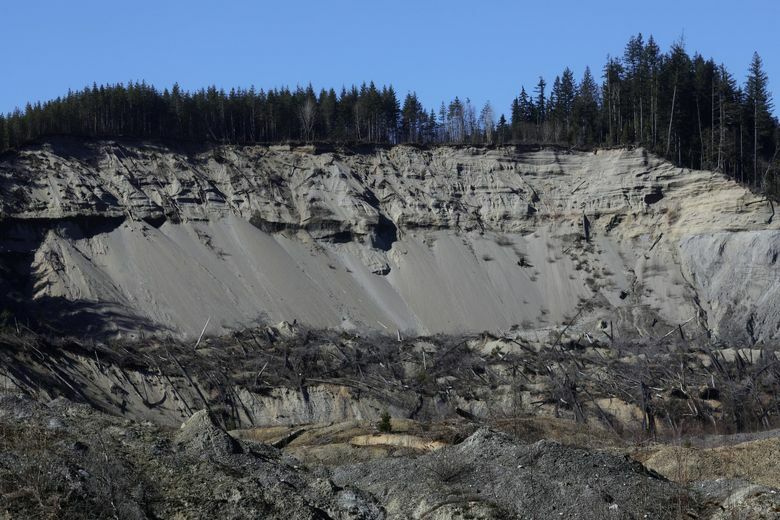 Brunner looks out at the scar marking where the hillside gave way on the morning of March 22, 2014, sending millions of cubic feet of mud down and obliterating everything in its path. Raffo and 42 others were killed when the Steelhead Haven neighborhood was destroyed. Five years. The youngest victim, Sanoah Huestis, 4 months old when she died, would be in kindergarten. Alan Bejvl and Delaney Webb, the young engaged couple who were so in love, would be married. Shane and Katie Ruthven, who died alongside their young boys and Shane’s parents, would have a thriving business. The 43 trees on the side of the highway mark the lives they would have lived. “This is a form of healing,” Brunner says, gesturing around at the trees and a mailbox sculpture that will be unveiled at a ceremony Friday morning to mark five years since the disaster, along with an official renaming of Highway 530 as “Oso Slide Memorial Highway.” The sculpture marks the 19 mail and newspaper boxes that formerly served as a neighborhood gathering site. “My main goal and purpose is to ensure the legacy of my sister goes on,” Brunner said. Relatives of those killed want a more permanent memorial for their loved ones. They number in the thousands, but the county is working with five core members to come up with plans and raise money for the project. 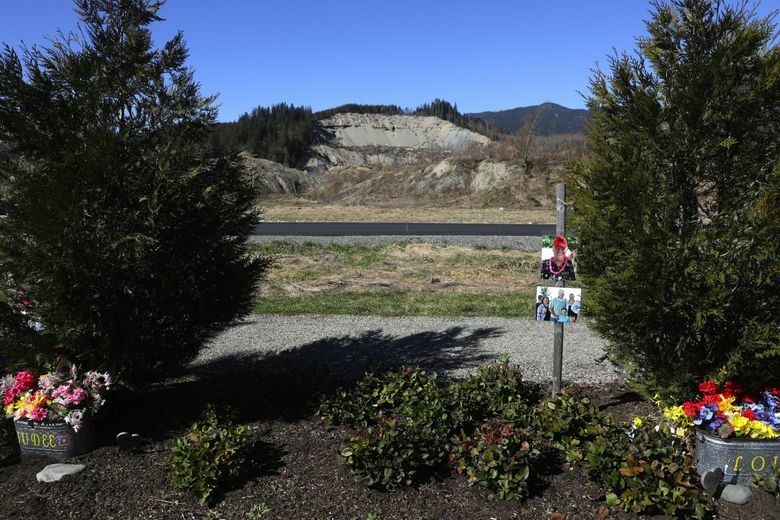 “They deserve better than some trees on a busy highway,” said Jessica Pszonka, sister of victim Katie Ruthven, who has been working with Brunner and Snohomish County Parks, Recreation and Tourism on plans for a permanent memorial. 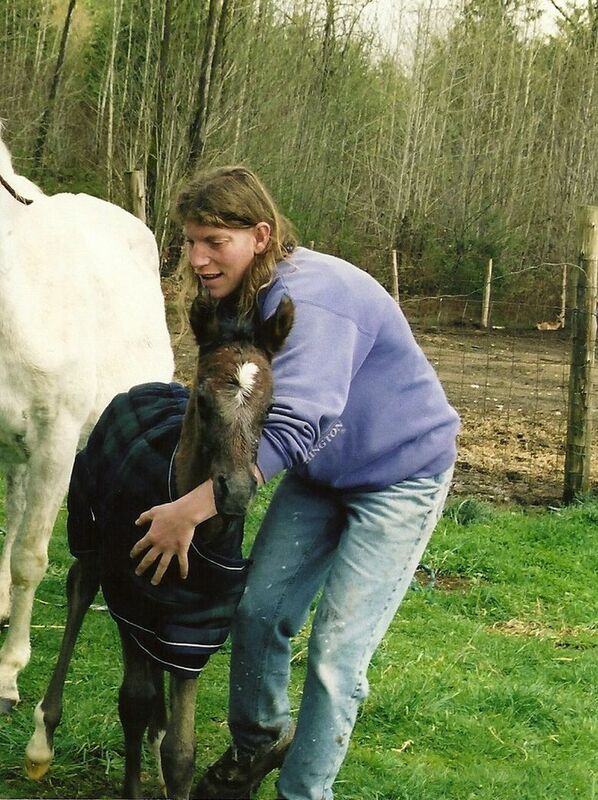 Raffo was driving on Highway 530 to a horseshoeing job when the slide hit. Seven seconds more in either direction, and she would have survived, Brunner said. When she didn’t arrive for the job, their mother started to worry. The two were inseparable; the only time they had been apart was during Raffo’s three-day honeymoon. Their mom called Brunner: Find your sister. It took days of digging. 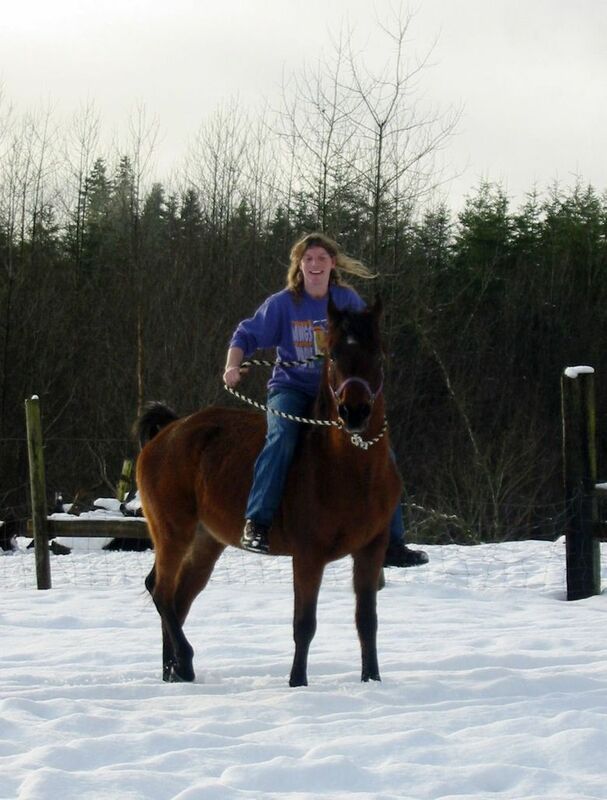 On day five, a kid from Darrington spotted a sliver of her blue 2004 Subaru. Someone called Brunner and his sons over to the area, where they slogged through mud for three hours. At one point a FEMA official asked if Brunner wanted anyone to leave while they tried to get her out. No, he said. They were part of this, too. They reached the top of her car, which had been blown out from the force of the slide. The shattered windshield was in her lap. Her hands were on the steering wheel, her face straight forward, the speedometer still at 60 mph. Brunner grabbed under her arms and pulled. Searchers took off their hard hats and stopped working. Raffo was victim No. 17 of 43. The final victim, Kris Regelbrugge, was found four months later. Raffo would still be “pissed” at him for two reasons, Brunner jokes. It took him five days to find her, and her body was eventually lifted and carried away by helicopter. She was afraid of heights. Their mom was too devastated to come to the disaster zone, but met them at the funeral home. So she could hold her daughter one last time. Brunner wants memorial visitors to understand what happened and what it took to get the victims out of the mud. And at the end of the visit, he wants them to feel hopeful. 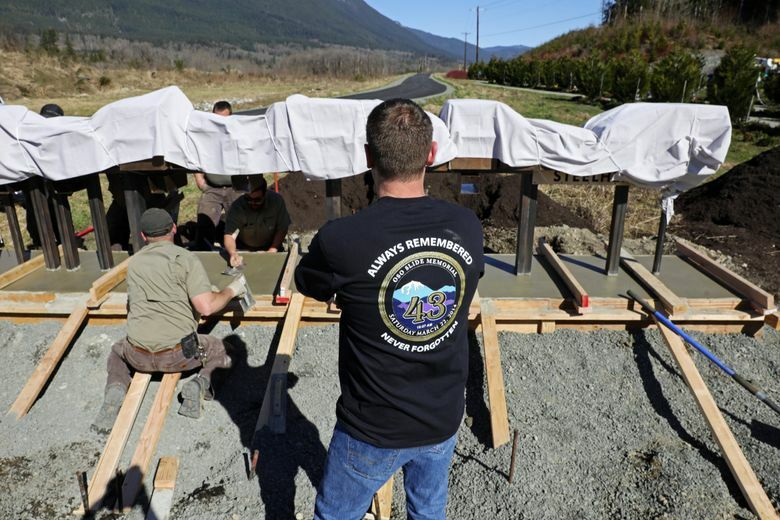 Talks about a permanent memorial came up within months of the disaster, said Tom Teigen, Snohomish County Parks, Recreation and Tourism director. But consultants who had worked on other memorials, such as the Sept. 11 memorial, told them to wait at least two years. Take time to grieve. The memorial will cost an estimated $6 million to build, which the memorial team hopes to fund through donations. The team has generated about $80,000 in donations and about $150,000 worth of donated time and work. Plans for the memorial include individual spots about each victim and survivor, sections honoring the first responders and other community members who came together after the landslide, and an exhibit explaining what led to the event. There will be a space to look at the hillside. 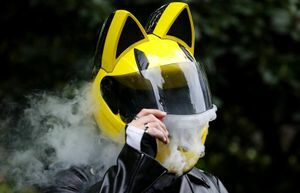 The first-responder section, Pszonka said, is significant. On nights when she can’t sleep, Pszonka will drive 22 miles from her Arlington home to the Oso site. 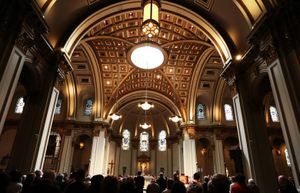 She doesn’t like going to the family’s columbarium. It feels too final. But the temporary memorial reminds her of their life in Steelhead Haven, in the converted A-frame home that felt like a treehouse. It’s pitch dark, save for the headlights of trucks whizzing by. It feels peaceful. She talks to her sister at her tree. Where would they be now? Still in the neighborhood, Pszonka says. They had just bought property in Ocean Shores for the family to build a vacation home. She keeps a picture of Wyatt, 4, and Hunter, 6, in OshKosh hoodies and shorts, standing with a yellow bucket on the beach. The little boys would be 9 and 11 now, stars of their football teams. The whole family would mark their busy schedules around their games. That’s what keeps her going, she says. That’s why she wants a permanent memorial.